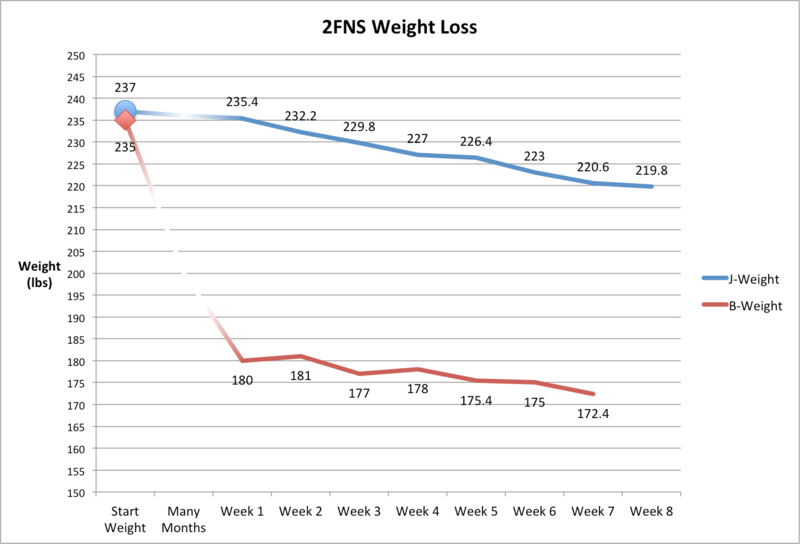 2 Fat Nerds - Weigh-In Wednesday October 10th: I Forgot to Add a Catchy Phrase. Weigh-In Wednesday October 10th: I Forgot to Add a Catchy Phrase. Home/Health, Running, Weigh-in Wednesday/Weigh-In Wednesday October 10th: I Forgot to Add a Catchy Phrase. Hello, hello! 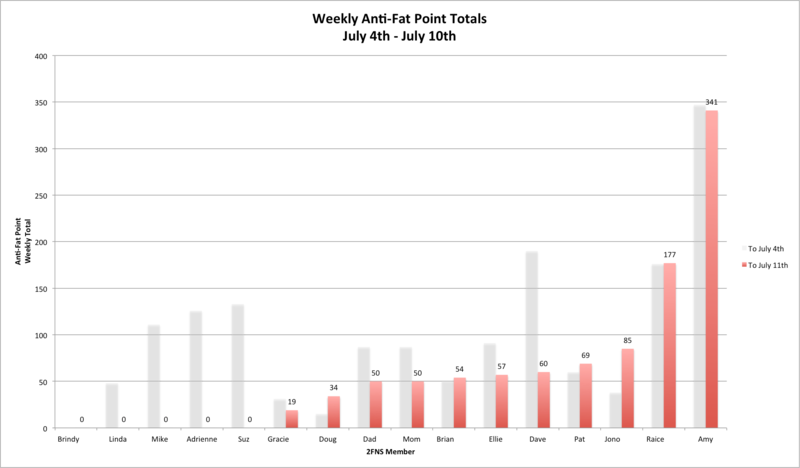 Here at 2 Fat Nerds, each Wednesday is a Weigh-In day, where all of the data from the previous week is collected, displayed, and analyzed. Now, let’s dig in to the results! Each week, members who have opted to have their weights publicly displayed for the world (or at least for my mom!) to see have them graphed on the main blog. 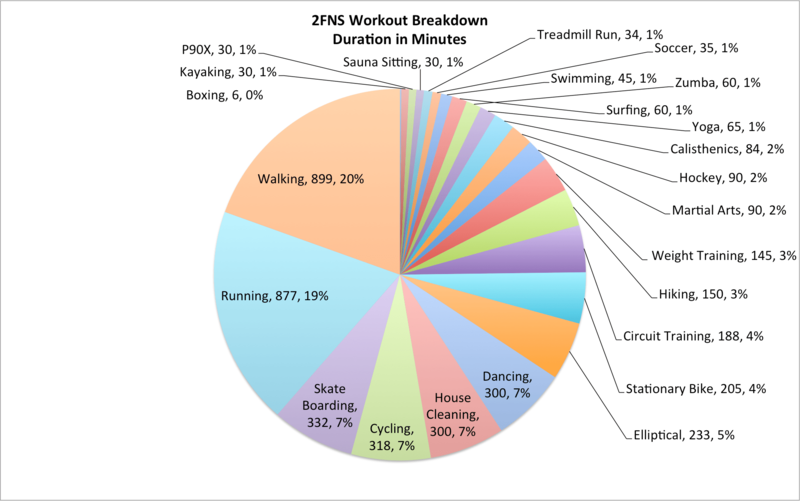 It is a great way to keep track over time, and it gives a bit more accountability to your workouts. 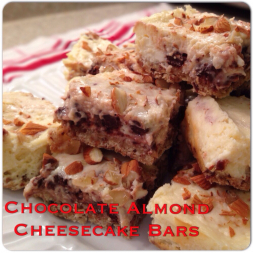 If you are interested, leave a comment! The B.A.A Half Marathon claimed many chains this week. 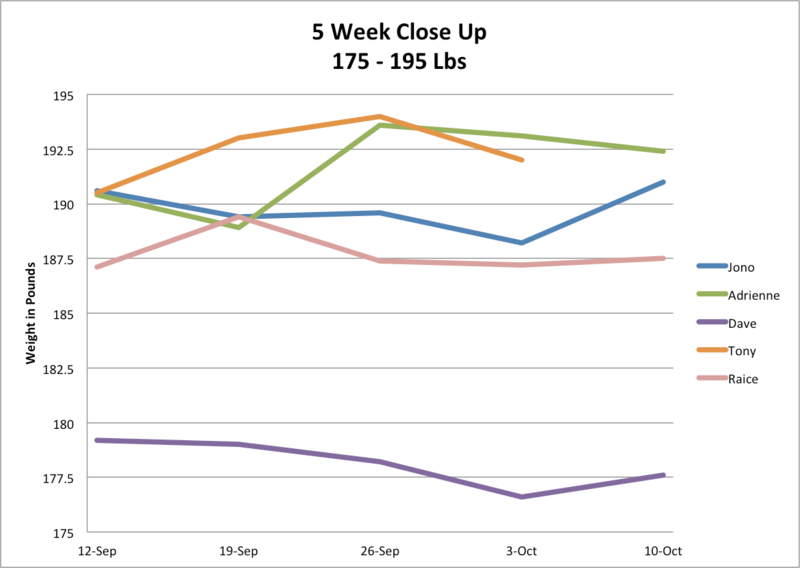 Below is a graph showing all of the different types of workouts submitted this week. 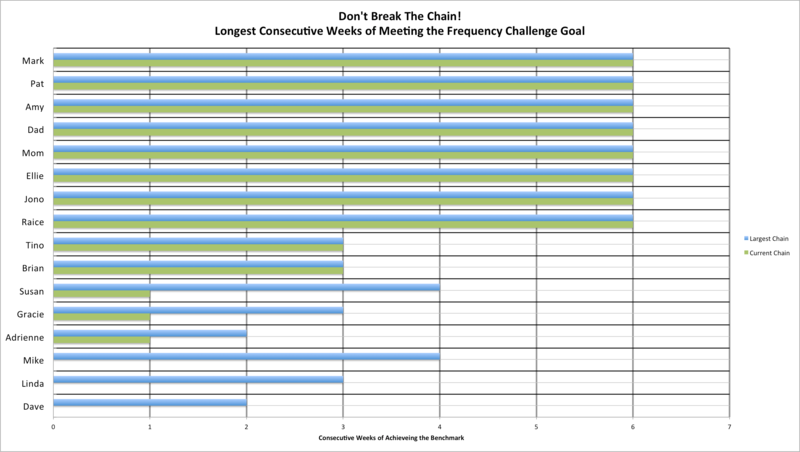 Each week we chart our cardio-based workout distances (no cycling included). This week, 294 kilometers have been tacked on to our journey! So many chains broken. Now I’m crying. If we cry hard enough, it could be at least an ab workout. Damnedable birthday steak haunting my weigh in!